The administrative assistant is a vital aide for any executive office. If you are new to the field, you would have to apply for the role of entry-level administrative assistant that refers to freshers or those with limited experience in the designation. Your position would be that of a junior assistant who will work under the direction of a senior assistant. If you desire for this work offer, presenting a good resume will be your top most priority. 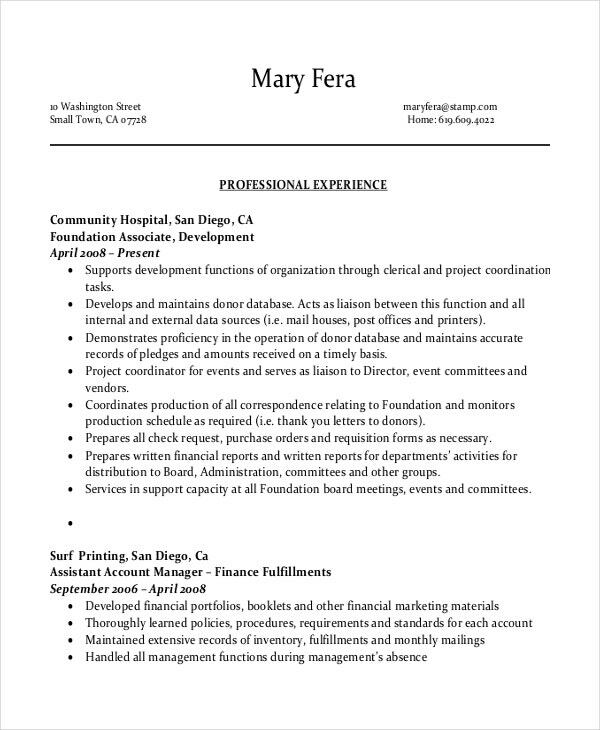 You can also see Executive Administrative Assistant Resume Templates. 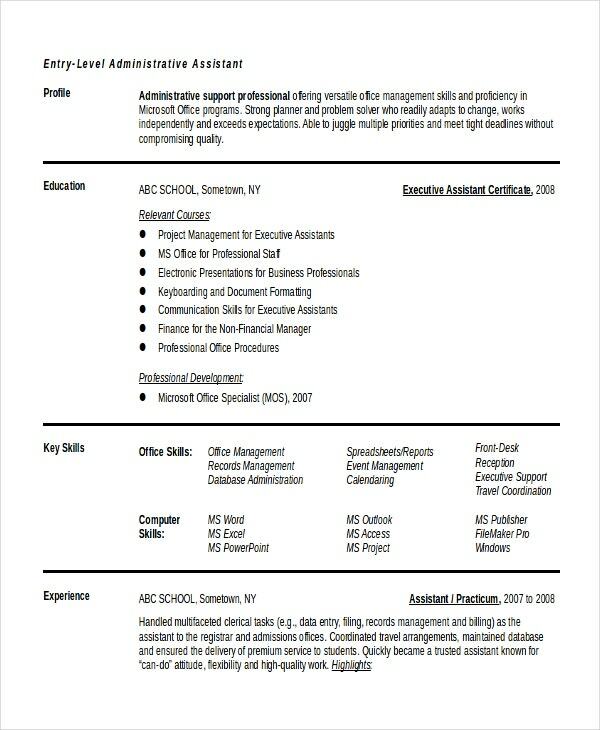 As you don’t have the experience of the job yet, such resumes would mean to highlight your talents, skills and abilities of being an appropriate entry-level motivated and hard working executive administrative assistant.When you are new to the field, it’s natural that you would be looking for help in creating an impressive resume. If there is nobody to help you, you can anyday go for the Administrative Assistant Resume Template sample online. 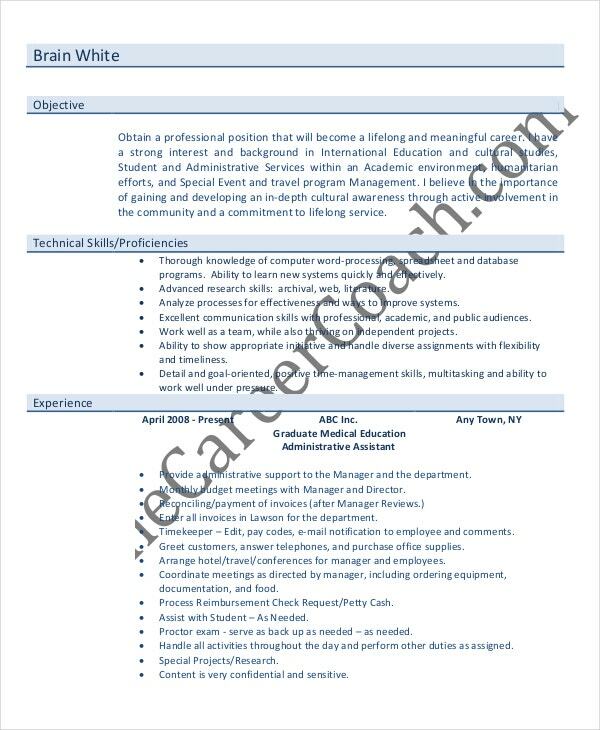 An entry level administrative assistant combination resume template will be mostly about your personal & professional abilities, attributes and skills relevant for the job. However, it would also state your past professional experiences as an assistant in chronological order. 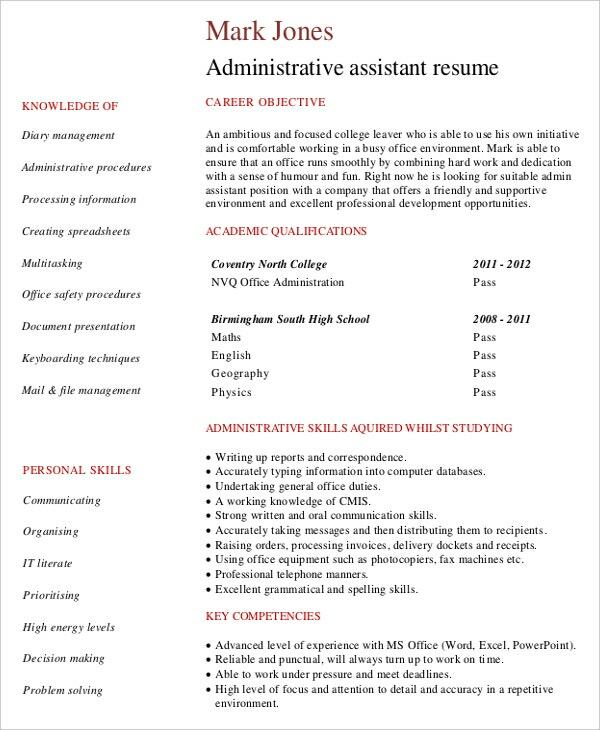 An entry level administrative assistant functional resume template will solely focus on your abilities and skills related to the job. There are entry level administrative assistant resume templates example for specific industries like medical or legal. These professionals are meant to handle most of the legwork of an executive department and handle duties ranging from receiving clients to answering and making calls to customers, helping the senior assistant in paperwork process and so on. You can also see One Page Resume Templates. > Why take to entry level administrative assistant resume templates? 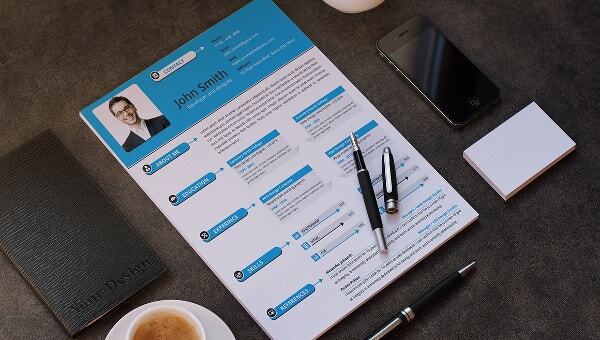 Free samples and examples in the resume template online are helpful to give you a background of an impressive and striking resume application. You can get a clear structure and format of a resume not only for this kind of work position but in general. Thus, with such pre-structured formats, you are relieved from creating the whole resume from start. 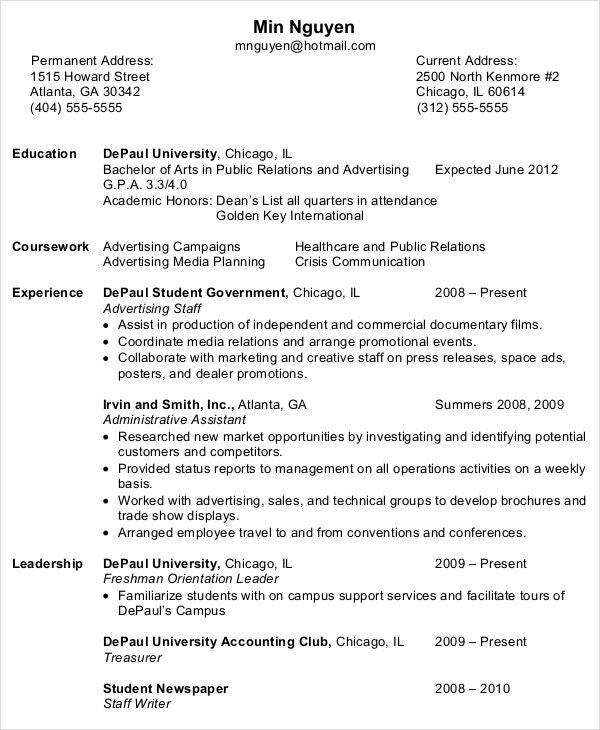 These Executive Resume Templates can be customized as well. Your only task here is to download a compatible resume template and then tailor it with your own data. 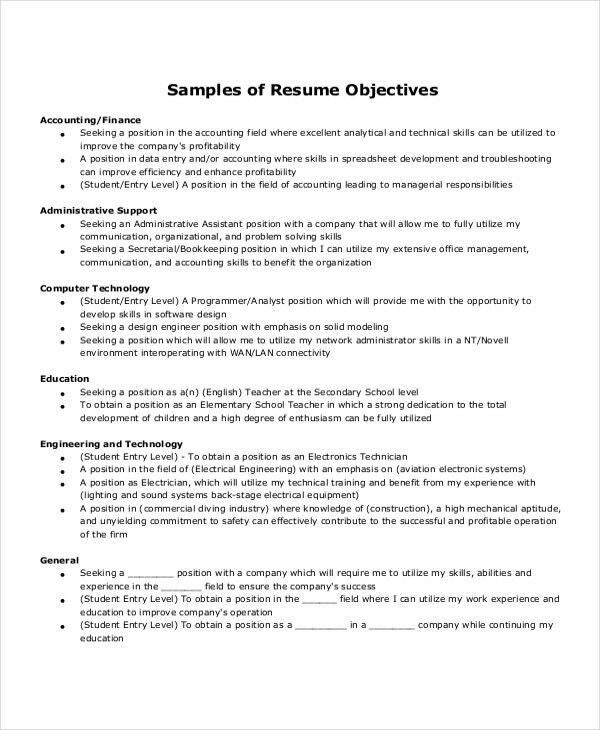 Go for entry level administrative assistant resume templates online. Opt for combination resume if you have some experience working as an assistant for any other organization in the past. 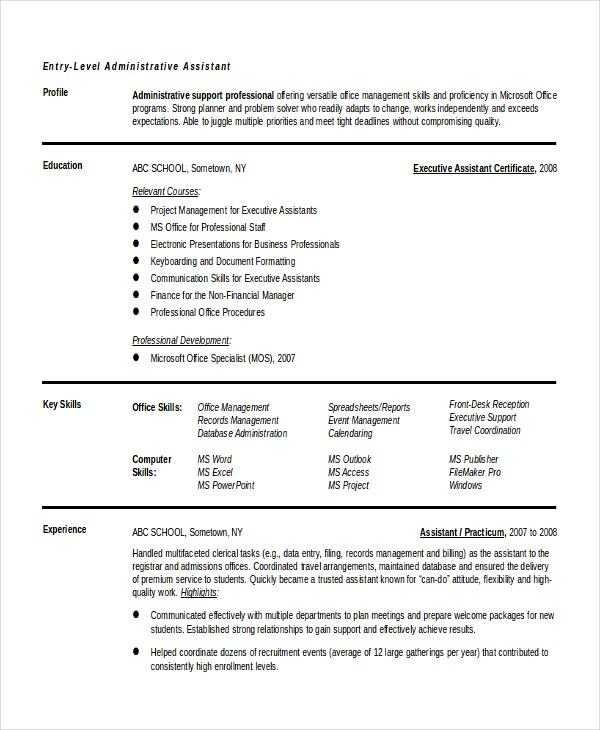 If you are on the lookout of best entry level administrative assistant resume templates online, template.net would be the place for you with its premium expert designed resume templates.